Roofing Material Life Span: How Long Will Your Roof Last? John Peters Roofing > Blog > Roofing Material Life Span: How Long Will Your Roof Last? While there are various factors that can affect the longevity and performance of your roof, there is one aspect that should take precedence over everything else — the roofing material. Knowing how long your roof will last given the material used for it allows you to set reasonable expectations and adjust accordingly. In today’s article, your preferred roofing contractor, John Peters Roofing, talks about the average life expectancy of the most commonly used roofing materials. 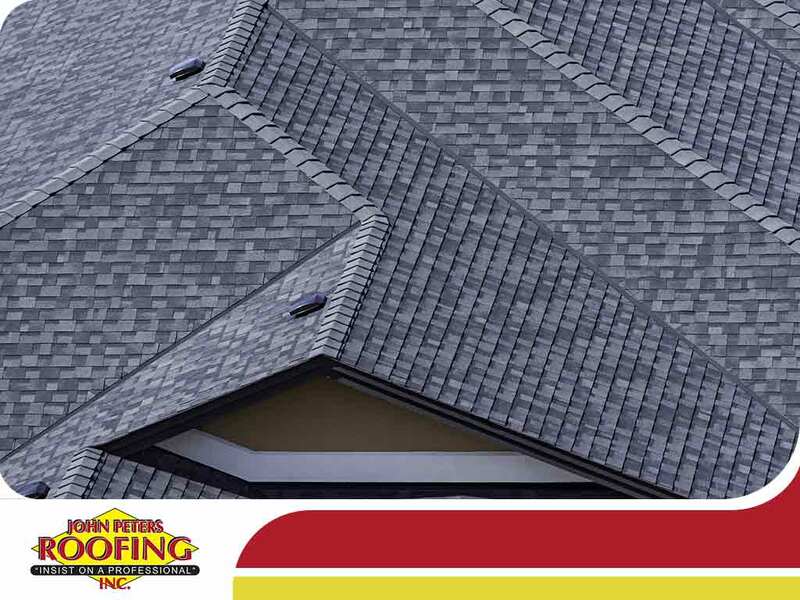 Depending on the manufacturer, the average service life of asphalt shingles lasts anywhere between 20 and 40 years. On the other hand, fiberglass shingles, while more expensive, can last up to 50 years. Note that warranties usually cover a shorter period than the expected life span of a roofing material. Pressure-treated wood shingles and shakes cost more than asphalt shingles and require periodic maintenance. Most wood shingles are insect- and rot-resistant, lasting about 30 years. They are available in pre-stained and aged finishes for that weathered but well-maintained appearance. Typically made of galvanized or stainless steel, metal is one of the most durable roofing materials on the market. Installed properly, metal roofs can last for more than 50 years with minimal maintenance. Homeowners can also choose copper, which is perhaps the most visually striking metal roofing material and can last up to 100 years. It’s worth noting that as copper ages, it fades into a green patina. The good news is that this chemical reaction actually protects the copper below the surface from further corrosion and does not damage the copper itself. Due to their weight, stone tiles such as slate, clay, terra cotta and concrete can withstand strong winds and heavy rains. Clay tiles can last anywhere between 40 and 60 years, while slate and concrete tiles have a service life of 50 to 100 years. Stone tiles require professional installation to reach their ideal lifespan. As one of Indiana’s best roofers, John Peters Roofing is committed to providing excellent workmanship with every job we do. We are a fully licensed, bonded and insured roofing company that specializes in roof, gutter, and siding installation services. Call us today at (317) 981-6300 for a free estimate. We serve residential and commercial properties in Indianapolis.